Roller bearing / double-row / steel / self-aligning - SRB - Zhejiang Tianma Bearing Group Co.，Ltd. Power Transmission - Mechanical components > Bearing and Linear Guide > Roller bearing > Zhejiang Tianma Bearing Group Co.，Ltd. Stand: Zhejiang Tianma Bearing Group Co.，Ltd. SRB Zhejiang Tianma Bearing Group Co.，Ltd. Spherical roller bearing is a rolling-element bearing that permits rotation with low friction, and permits angular misalignment. Typically these bearings support a rotating shaft in the bore of the inner ring that may be misaligned in respect to the outer ring. The misalignment is possible due to the spherical internal shape of the outer ring and spherical rollers. 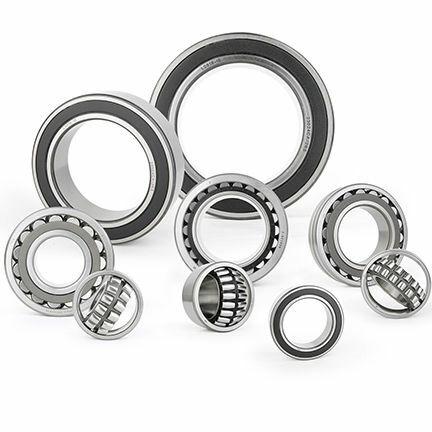 Despite what their name may imply, spherical roller bearings are not truly spherical in shape. The rolling elements of spherical roller bearings are mainly cylindrical in shape, but have a profile that makes them appear like cylinders that have been slightly over-inflated. External dimensions of spherical roller bearings are standardized by ISO in the standard ISO 15:1998. Some of the common series of spherical roller bearings are: 213, 222, 223, 230, 231, 232, 238, 239, 240, 241, 248, 249.